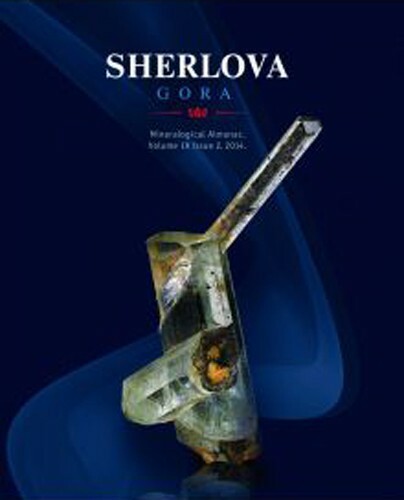 he issue is devoted to Sherlova Gora in Transbaikalia – one of the oldest and most classic mineral localities of Russia. 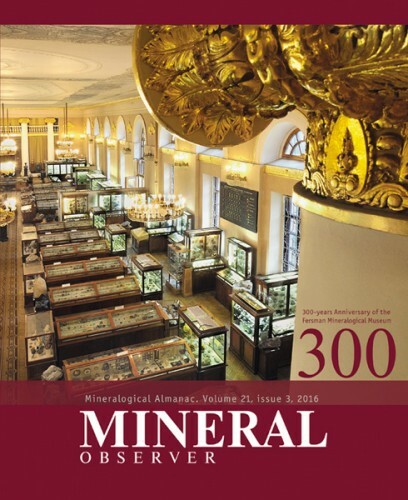 For almost 300 years it is famous for its excellent beryl and topaz specimens as well as aquamarine and heliodor of high gem quality. 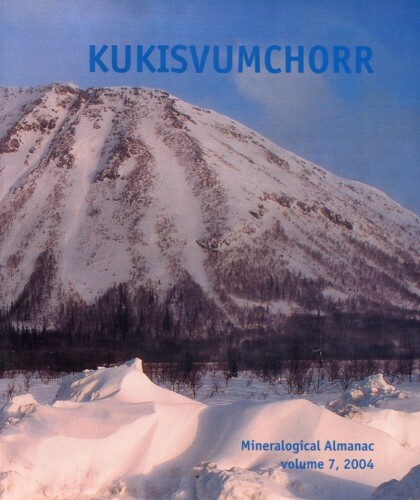 It is also a well-known complex ore deposit known for tin, tungsten, bismuth, lead, and zinc. 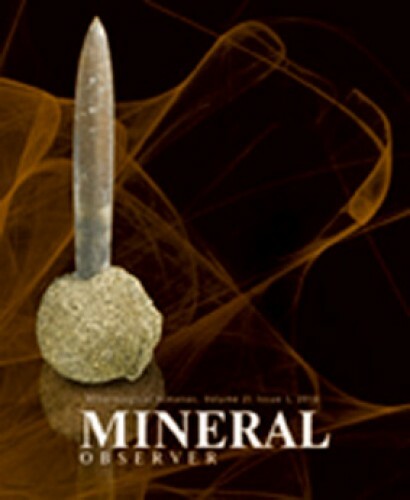 About two hundred different mineral species have been found here. 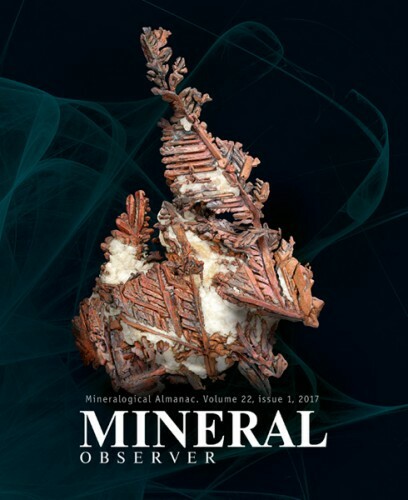 This issue consists of two large articles written by well-known Russian experts who made significant contributions to the investigation of the mineralogy of Sherlova Gora. 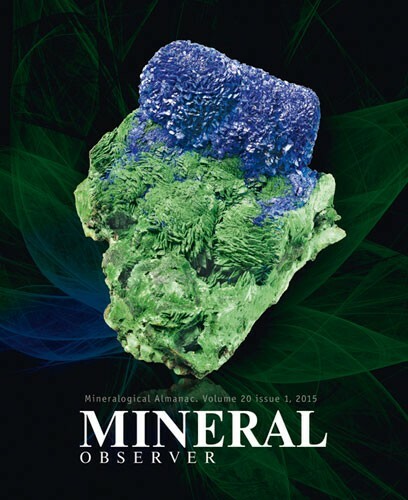 144 pages, 271 illustrations including 198 mineral photos. 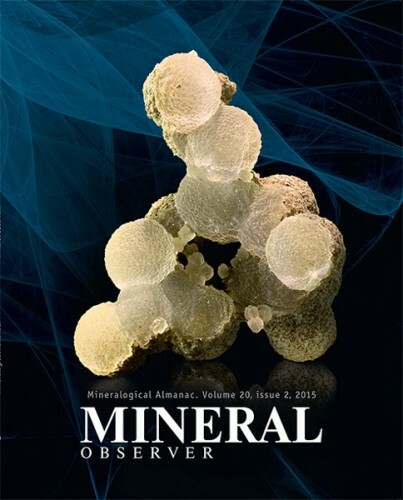 In a Guide to Ontogeny of Minerals section Boris Z. Kantor writes about Paper Spar - calcite with very dramatically flattened crys­tals, typical for Dalnegorsk. 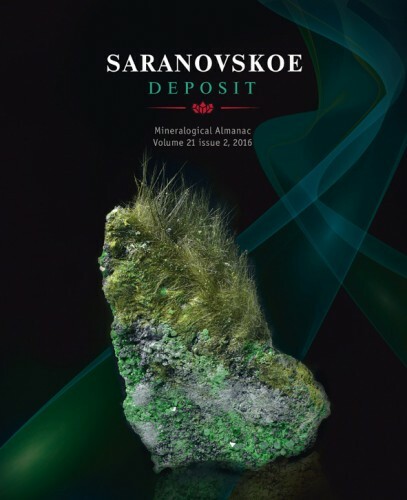 Travels for Minerals section is dedicated to a report of the Mineralogical Almanac team trip to the Urals for preparation of two new special issues on Mednorudyanskoye and Saranovskoye deposits. 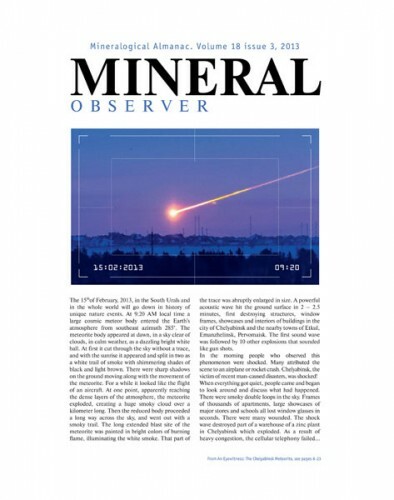 Sergei V. Kolisnichenko article tells on new discovery of Kunashak meteorite in Chelyabinsk Region. Mikhail Yu. 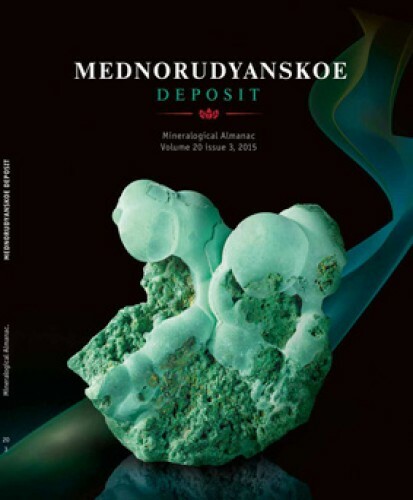 Generalov describes the first Russian hardrock gold (Voitskoye deposit in Karelia, North of European Russia) from collection of Fersman Mineralogical Museum, RAS. 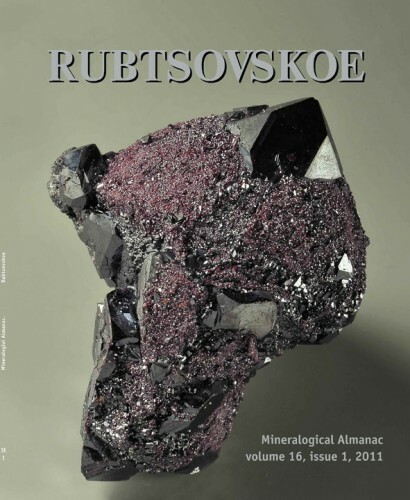 Large description of Tucson Mineral Show that celebrated its 60th anniversary and articles about «Gemma» spring fair in Moscow and Second Changsha Mineral Show in China are presented. 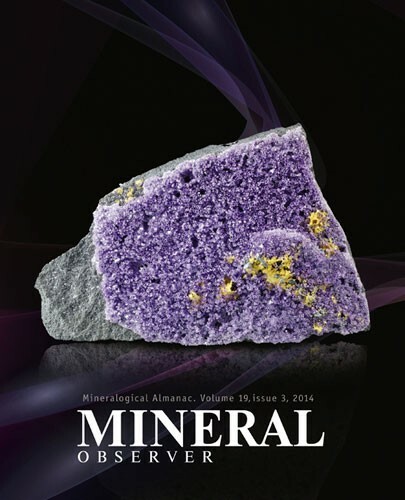 80 pages, 234 illustrations including 142 mineral photos, 2014.